CARDS SENT TO THIS ADDRESS WILL GO TO THE WOUNDED WARRIOR UNIT AND OR FISCHER HOUSE. THE HOPE IS THAT OUR STRONGEST, WONDERFUL AND MOST DEDICATED PEOPLE THAT OVERSEE OUR FREEDOMS ARE REWARDED WITH LOVE ON THIS SPECIAL HOLIDAY. THESE MEN AND WOMEN HAVE SACRIFICED SO MUCH AND A SMALL GESTURE COULD PROVIDE A MUCH-NEEDED SMILE. A BLESSED HOLIDAY SEASON FOR ALL WHO HAVE SERVED FROM YOUR FRIENDS AT WECK RADIO! Her name is Trina Ostrander, and at first glance she looks like the nicest person in the world. She’s not bold or flashy, but she is nothing short of remarkable. Trina has two sons, Nick and Anthony. Nick is two years older than Anthony, but their worlds are so far apart. When Anthony was only four-months old, Trina suspected something was wrong, so she took him to the doctor. The news was not good, but workable in the long-run. They said Anthony was blind. At almost two years old, Anthony began having tremors, and that began a downward spiral of hospitalizations and endless questions with endless answers. It was a trip to the hospital in April of 2002 that Anthony walked in and was unable to walk out. Forever a changed little boy. He had experienced something called “ Epilepticus”, which were crushing seizures leading to brain damage and eventual life support. Despite hundreds of tests, everything was coming back negative. Now, it was up to Trina and in-home nursing care to set a path of comfort for Anthony. There were many scares and ups and downs for Anthony, but for Trina, she held firm.She knows that her undying love and her ability to stand-up for her son is the reason he is still here today. Despite the mountain in front of her, Trina continues to advocate for her son on every level. She says one of her darker moments was when her oldest son, Nick, went for a first day of school without her there. To this day she laments over not being able to give him a folder with some paper and a hug and good luck. But is was another time in the hospital for Anthony. In 2013, Trina called Hospice because she felt as if she was at the end of her rope. Feeling stuck, but not defeated, she learned of a new program through Hospice that would be starting in the fall. The program called Essential Care, would help families with children in these situation with a form of palliative care that could help round out their care. Anthony has an Essential Care nurse that comes in to assist Trina with medical protocol that could help Anthony to relieve pain or breathing problems, or whatever he needed that specialists couldn’t supply. Trina says that before Essential Care, she always felt as if she was falling, but when they stepped in….they caught her. Navigating through paperwork and medical diaries and specialists and nurses is just a part of Trina’s day. Essential Care provides a social worker and chaplain and music therapy. Some is for Anthony and some is for Trina. As for Nick, Trina says at the age of 20 now, he has turned out to be an amazing soul. Nick has the strength and the patience and the kindness and honor that most of us could only wish for in a child. Determined, strong, loving, kind and full of love is Trina’s personality. She hopes other parents will turn to the Essential Care program at Hospice if they need help. At the Erie County Fair this year, WECK radio raised money for this amazing program. If you need help, call them at 716-686-8006. They would also appreciate any donations to help this program move forward. Trina doesn’t look past today. Every day with her two sons is a gift. Like she says, no one ever thinks they can do something like this, but you can. Embrace it with all of your heart and soul! Before Anything, She was just my Mom. It was nearly a three year battle that my mom fought with Alzheimer’s disease before her mind and body couldn’t take anymore. So, on this day five years ago, she passed away. For those years, we all grieved her death. In her final years, we all stood beside her and loved her with all our hearts. Though, instead of thinking about those dark days with her illness, this year I tried to think back to when I was a child and the things I remember from our humble little home on Palamino Drive in Warren, Michigan. For some reason… I remember shampoo! Mom loved trying new varieties, but the two I remember most were “Yucca Dew” and “Prell”, with the pearl floating slowly to the bottom of the bottle. Of course, a weekend wasn’t complete without a good old bubble bath in our pink-tiled bathroom. Cuisine was apparently not on the top of my mom’s importance list. My sister and I ate plenty of tv dinners. In fact, to this day, my sister and I laugh about when I got a pea stuck in my nose when she made me laugh when I was trying to gag them down. My sister was a magician and scattering veggies to make it look like she ate them! One, Two, Three Jello was a huge treat. I only liked the One and Two parts! We snacked on things like Astro pops and Gold Mine gum. Tang was a staple as well, espcially when we were sick… then we got hot Tang! Toys were a big deal for me. I can still remember my first Crissy doll, and giving myself a headache playing with Clackers. Spirograph was tons of fun and… if I close my eyes, I can still remember the smell of Creepy Crawlers. My sister and I were quite the fashion models with our crocheted ponchos and our Smock Tops that my mother learned how to sew (E-GADS!!!) This, while my mom was wearing mini-skirts and Go-Go boots. One final thing that makes me laugh to this day... is Dippety Do!! My mom would always slather that on our bangs and tape them to our forehead!!! There are thousands of memories of which I could relay, but for this day….I want to remember these uncomplicated, and pure thoughts of my mom. Still missing you! From the bottom of all of our hearts alike, we all love you and will have you in our thoughts always. Love you Mom/Grammy! It was a big morning September 18th, 1998. I remember it well. In the predawn hours, two little faces popped out to brave the world. That morning, I met my twins for the very first time. Exhausted and in a bit of pain, it was still overwhelming to study their faces and little fingers and toes. Anthony and Maria were perfect in my eyes. Now, I’ll be the first to tell you, that babies were a mystery to me. What could they possibly be crying about again and again and again. One slept, one didn’t. One was in a crib, one was in a swing. One ate fine, the other constantly got sick. Oh my Heavens!!! When the twins were a little over a year old, their father and I split and the reality of having two infants required as much strength as I could muster. Soon they started morphing into little humans with personalities that were unique and quite funny. I remember wishing they would walk early and potty train early and talk early. Again, one did and one didn’t! From those early days, life seemed to fly by. They grew, school started, friends came and went and we were the “three musketeers”! The times that we laughed until we fell off the couch, or pushed everything aside for popcorn and Friday night with the show “Ghost Whisperer” were so memorable. The teenage years were a complete blur. Now it was boyfriends, dances, a few more arguments than before and the push for independence. Okay...I get it, but what about needing your mom still? Come to find out, that even today….they still do, but in different ways. So today….it’s 20 candles for each cake and one wish from your dear old mom! Wish indeed….just don’t wish things away. Don’t “wish” college was over, don’t “wish” you’ll never get hurt, don’t wish that life was easier, don’t “wish” you were rich. Live your lives like the two independent and beautifully unique people you always have been. I say this only because 20 becomes 30, becomes 40 and so on. Embrace the moments along the way. Happy BIrthday Anthony and Maria. I love you from the bottom of my heart!!!!!!! With school starting this week all over Western New York, we decided to look into our school past. Try not to laugh but we all experienced picture day too. Here is Tom Donahue in 7th Grade! Here is John Summers in his senior year of high school. I hate to see summer wane, but I really love fall. I can almost smell the cold, crisp evening air as we try to catch one more night on the patio with our chiminea. We close everything down and prepare to nest for the winter. Just when I’ve had enough of the cold and snow… I dream about a plant scheme for the spring and summer ahead. It is now… this time of year… between old and new...that I realize how much I love living in Western New York. WECK has a weekly feature called “So Happy Together”, featuring Gina Browning from the SPCA each Thursday morning at 8:40 a.m.
Our focus is to spotlight an animal up for adoption and pass along important information about the well-being of your pets. If you have yet to see their sprawling new facility at 300 Harlem Road in West Seneca, my goal today was to give you an inside look at some of what these animal lovers work with each and every day. On the front page of Gail’s Gazette, you’ll see a photo of Gina Browning and Bethany Kloc who lovingly seek to place many of the animals into forever homes. They, along with countless others, breathe new life and hope to a wide array of pets. During my visit with my daughter Maria, we saw everything from hawks to baby rabbits, to turtles, to ferrets, to kittens and dogs. The Harlem Road facility is home to a barn, which houses farm animals. We met Sheila, who was on duty caring for the pigs, ducks, chickens, a goat and a mini horse. You can tell by Sheila’s smile...they are all her favorite animals. One of the smaller pigs was actually receiving behavioral therapies from the SPCA following a traumatic incident. On our way back to the main building, we ran into Silas who was getting his “Crazy” in the outdoor playground. From Frisbee to pool to ball... Silas was loving it all, and we were loving him right back. The SPCA also has a Wildlife component. We were allowed to see the newborn baby squirrels and bunnies, as well as a number of birds, including two hawks. Continued loving care was seen in the infirmary where animals were being treated for various injuries of ailments. By the look in their eyes, most seemed to know they were getting a second chance. Happily, the number of dogs up for adoption was low on this day, but we did meet a few real “hams” still waiting for their day in the sun. Kittens and cats were resting, and playing, eating and socializing. Each feline with an individual personality just waiting to show off for you! The turtles, ferrets and frogs were beautifully displayed in their own comfortable habitats… and they also would like to come home with you. For my daughter and me… We soaked in the the cuteness, the wonder, the love and the willingness from everyone at the SPCA serving Erie County to do right by all of the animals in their care. Of course, we had to go to the Petique to buy a toy for Finnick and a coffee mug with the SPCA logo on it. What a great afternoon! Thank you to our animal warriors at the SPCA! First things first… Let’s go visit my mom at the WECK gazebo and spin the wheel to benefit Hospice of Buffalo. Next up…some food. Kettle Corn, Mr. Stickey’s, and some yummy desserts. Then it’s off to here some great Big Band music. I got a little lost, so the signs helped me out. Game time! I went to two “I Got It” stands, but didn’t win a thing. Not my lucky day! I stopped in to visit with the “Friends of the Fair”. I rested in the grass. No… I didn’t do anything else… I promise!!!! And finally for the day… I went to see the Sleep Number beds. My number is anything between 0 and 100. I’m heading home for now… though, be sure to check back in for more Finny Fun soon! For some reason, Dill plants grow all throughout my vegetable garden… almost to the point of annoyingly. For years I really didn’t know how to use it, so it usually withered away unused at the end of the season. Last year I decided to harvest some of it and learn what to use it with. -Mix with cream cheese, parsley and chives for your morning bagel. -Use it in a cream sauce to drizzle over grilled salmon. -Use it along with butter on potatoes and baby carrots. -Toss some in your yolk mixture when making deviled eggs. -Make a tangy cucumber, onion, vinegar and dill salad. -Definitely use it for quick pickling recipes. -Use it in Ranch dressing (store bought or homemade). If Dill is growing in your garden… give it a try! Cut down the mature stalks, tie the ends and stores in a sealed paper bag in a cool, dry place for a few days. The seeds should easily fall to the bottom of the bag and the fronds you can chop into smaller pieces. I put them in mini mason jars and keep them in with my spices. Let me know if you tried anything with your dill this season! Preheat your oven to 300-degrees. Wash and take the tops off the tomatoes. Line a cookie sheet with tin foil and place the tomatoes, chopped carrots, chopped onion and herbs on the foil. Drizzle the olive oil and broth over the tomatoes and salt and pepper. Mix everything to coat with the oil and vinegar. Next, cut the top off your head of garlic and wrap it in foil with a drizzle of olive oil. Completely wrap the garlic with the foil and place on the cookie sheet. Let everything cook for 2 to 3 hours. After cooling the mixture, put the tomatoes in a food processor. Squeeze the head of garlic into the processor as well. Blend all of the ingredients and you will have a tasty and versatile sauce to make your favorite Italian dishes. Mangia!!!!! If you have your own recipe for summertime veggies… Email me and we can share it with our listeners! Coffee and Rice... Who Knew?? I love to hear about new and creative ways to use things that most of us have in our kitchens to accomplish everyday tasks. This time around, I’ll give you some awesome, and unusual uses for rice and coffee. Let’s start with the coffee. Of course, helping to wake us up in the morning would be the main objective, but you can also try some of the following tricks for your grounds, for example: First, fill a an old pair of panyhose with coffee grounds and tie both sides. Another thing you can do is put the bag under your car seat to filter out odors. Using coffee grounds can help clean stubborn stains on your pots and pans. You can then use coffee grounds mixed with hand soap to get the smell of garlic or fish off your hands. Dried used coffee grounds make a great homemade pin-cushion filler. Used coffee grounds, added to other composting materials will help your gardens grow and your flowers bloom. Apply cool, strong coffee to dry hair and leave it on for 20 minutes. Rinse and your hair will be extremely shiny! You can also place a few coffee beans in your salt shaker to keep the salt from caking. Rice is another one of those handy things that most of us have in our cupboards, so try a few of these following tips: If your blender blades are dull, put a half a cup of uncooked rice in and let your blender run for a few minutes. If you're waiting for your fruit to ripen, put some uncooked rice in with the fruit and the ripening process will speed up. Do you also have silk flowers in your house that are looking a little dusty?? Put some rice in a bag along with the flowers, close and shake vigorously and the dust is gone! Futhermore, you can dry out wet shoes or boots by putting uncooked rice in them and leaving them overnight. In addition, leaving an open container of uncooked rice in your toolbox and it will prevent your tools from rusting. Give these a try and let me know if they work for you. If you have any rice or coffee hacks….let me know! You can email me at any time! to hear about new and creative ways to use things that most of us have in our kitchens to accomplish everyday tasks. This time around, I’ll give you some awesome, and unusual uses for rice and coffee. 1. )Fill a piece of an old pair of panyhose with coffee grounds and tie both sides. Put the bag under your car seat to filter out odors. 2.) Use coffee grounds to help clean stubborn stains on your pots and pans. 3. )Use coffee grounds mixed with hand soap to get the smell of garlic or fish off your hands. 4. )Dried used coffee grounds make a great homemade pin-cushion filler. 5. )Used coffee grounds, added to other composting materials will help your gardens grow and your flowers bloom. 6. )Apply cool, strong coffee to dry hair and leave it on for 20 minutes. Rinse and your hair will be extremely shiny! 7. )Place a few coffee beans in your salt shaker to keep the salt from caking. 1.) If your blender blades are dull, put a half a cup of uncooked rice in and let your blender run for a few minutes. 2. )If you waiting for your fruit to ripen, put some uncooked rice in with the fruit and the ripening process will speed up. 3. )Do you have silk flowers in your house that are looking a little dusty?? 4. )Put some rice in a bag along with the flowers, close and shake vigorously and the dust is gone! Leave an open container of uncooked rice in your toolbox and it will prevent your tools from rusting. Everything old becomes new again… or so the saying goes!! So, in recent years, I’ve jumped on the succulent bandwagon and I’m having a blast. If you’ve been to any garden center recently, you’ve probably noticed an array of succulents or by definition… any plant having fleshy tissues that conserve moisture. I prefer to describe them as little cacti. Years ago, our family had this groovy terrarium that sported some hideous looking succulents, but they were cool back then. Not knowing how to care for succulents, I actually rid an entire front garden of them several years ago. What turned me back to these little critters were the way people were growing them. You could find them popping up in old tea cups, or broken logs or glass teardrops hanging above a kitchen window. Most recently, they have been trending for bridal bouquets and the designs are as beautiful as the succulents themselves. Whether you choose to grow them indoors or outdoors (or both), there are a few things you should take into consideration so they stay looking their best. According to Better Homes and Gardens, succulents require some special care. First, you must remember they are desert plants, so they can stay dry for quite some time. That does not mean you should spritz them with water every now and then. Even in the desert, rain does fall, so when you water your succulents, give them a soaking and then let them dry again. If planting indoors, make sure you place them in a south facing window and follow the same watering directions. Most importantly with succulents… Have fun and be creative. Ask any garden professional to show you the varieties they have in stock!!! The boys, ages 11-16, and their 25-year-old coach became stranded when they went exploring inside after a practice game. Monsoon flooding blocked off their escape and prevented rescuers from finding them for almost 10 days. Surely is not very smart. And take a piece of your heart. And never know what they will miss. When the microphone clicks off and the daily work is done, we all leave WECK and head home. Our job requires us to be upbeat and positive, but all have days wh the glass feels half empty rather than half full. We would like to share with you our secret weapons to getting us back on track: Our Pets!! Tom Donahue’s little guy Tucker. Tom says he’s 10 pounds of love and laughs for he and his wife Barb! Joe Chille has a cat named “Baby”. Joe says she thinks she’s a lapdog and waits for him in the window every day! Jon Summers has two cuties. Introducing Otis the cat and Clara the dog. Jon says they love each other as much as they love people. He also shares that besides his wife and son, they are the loves of his life. Steve Cichon has a true beauty named Willow. He and his wife adopted her from the SPCA. Steve says not to let the grey beard fool you , she still thinks she’s a puppy ! Gail Ann has a little guy named Finnick. He is the ruler of our house and rules with love! I mean…..c’mon look at that face! Take a peek inside the news Pano's! Take a peek inside the new Pano's! Living History Day will be held on Thursday, June 7th, 2018 at the Fredonia campus. at (716) 941-5139 or email directorofeducationbhs@gmail.com. Citizenship? What are you bringing back? Ever smoke pot? Get ready for the question, Have you ever smoked marijuana? 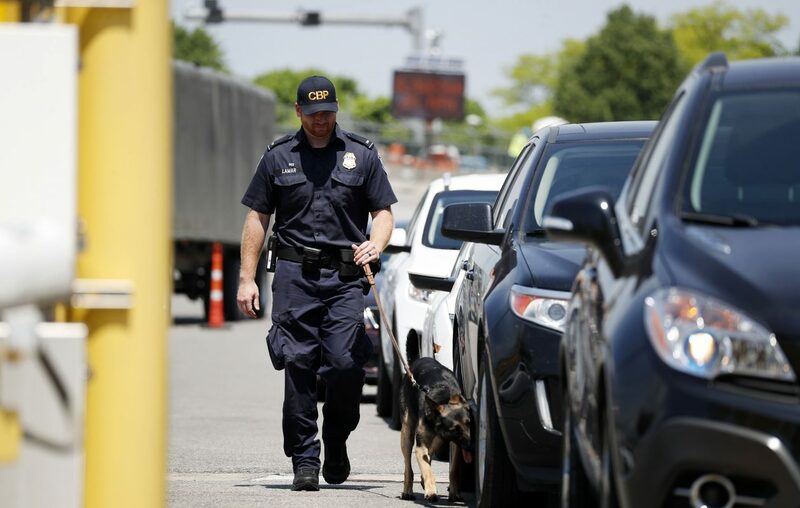 Customs officers are getting ready for legal pot in Ontario, with the fear that both Americans and Canadians might try to bring marijuana over the border. 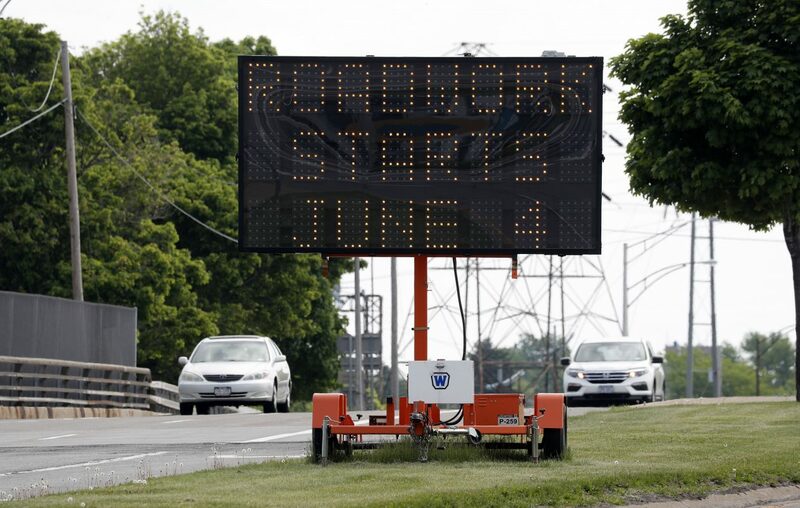 Starting next Monday, you'll be thinking about the good ol'days of just reguar ol'traffic jams on Main Street in Williamsville, once construction begins, tearing up Main Street between the 290 and Williamsville South. Nearly 4 million dollars will be poured into the five month project, which will see the street re-paved-- but also make it more walkable. Remember when vacations were a time to get away from it all? This is a real question-- some people hear the voice say "Laurel," others say "Yanny." Hear for yourself, and read about perhaps why some of us hear it differently. 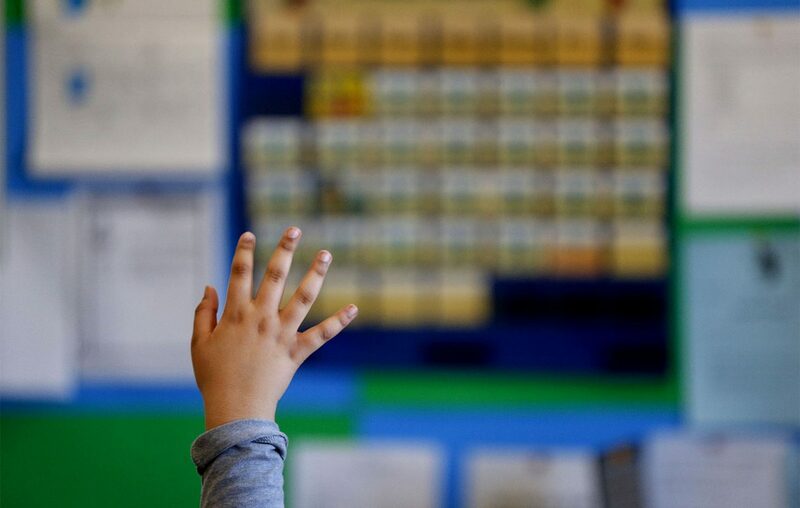 Across New York State, voters are deciding on school district budgets today. Slow Roll Buffalo's first bike ride is Monday, May 7, and starts at the Electric Tower downtown. Kim Pegula: most powerful woman in sports? 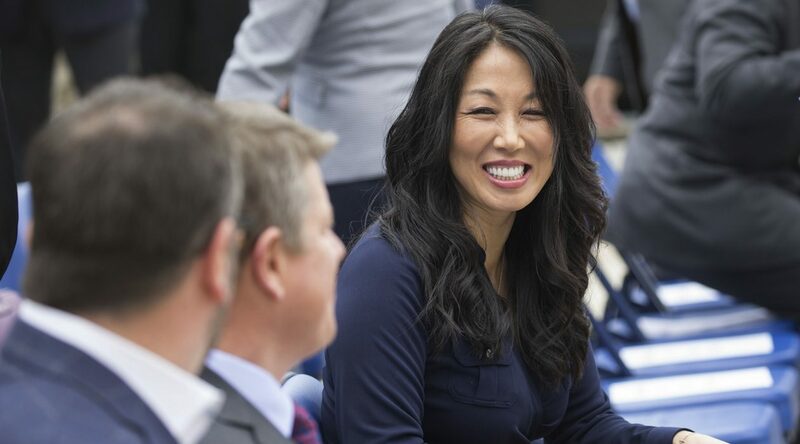 Her new roles as President of the Bills and President of the Sabres solidifies Kim Pegula's role in the Buffalo business community and on the national stage. She's the only woman to hold the title of President in both the NHL and the NFL. Skyway Lane closures have begun. The bottom line is, unless you're commuting from the Southtowns to Downtown during the morning rush hour-- you'll need to find another way, other than the Skyway, to get into downtown from Lackawanna, Blasdell, Hamburg, and points south from today through November. The New York State Department of Transportation (NYSDOT) today announced that construction has begun on the project to perform bridge deck rehabilitation on NY Route 5, the Buffalo Skyway, in the city of Buffalo, Erie County. 5:00 a.m. until 11:00 a.m. weekdays, Buffalo Skyway open to inbound (eastbound) traffic only. 11:00 a.m. until noon weekdays, Buffalo Skyway closed to all traffic. Noon until 3:00 a.m. the following day, weekdays, Buffalo Skyway open to outbound (westbound) traffic only. 3:00 a.m. until 5:00 a.m. weekdays, Buffalo Skyway closed to all traffic. Saturdays and Sundays, Buffalo Skyway open to outbound (westbound) traffic only. Posted detours will direct traffic affected by the closures. This traffic pattern will remain in effect until November 2018. This work is weather-sensitive and will be delayed in the event of inclement weather. Motorists are advised to obey the posted speed limit along the detour route and allow for additional travel time. Motorists are also reminded that fines are doubled for speeding in a work zone. In accordance with the Work Zone Safety Act of 2005, convictions of two or more speeding violations in a work zone could result in the suspension of an individual’s driver’s license. For real-time travel information, call 511 or visit www.511ny.org. Find NYSDOT on the web at www.dot.ny.gov, and on Twitter at @NYSDOTBuffalo.